Medical Research: What should clinicians and patients take away from your report? Medical Research: What recommendations do you have for future research as a result of this study? 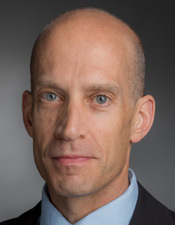 Dr. D’Amico: Therefore the use of androgen deprivation therapy to treat prostate cancer in these men should be carefully considered and efforts to ensure that heart function is being optimally managed before initiating androgen deprivation therapy would be prudent. This entry was posted in Author Interviews, Brigham & Women's - Harvard, Heart Disease, JAMA, Prostate Cancer, Testosterone and tagged heart disease, prostate cancer by Marie Benz MD FAAD. Bookmark the permalink.